Gymboree is one of my all time favorite stores to shop in for my children. The quality is amazing and the clothes are just TOO cute. I have shopped at Gymboree for years, 18! My nephew had clothes there when he was young and he just turned 18! Gymboree announced a new campaign called #Madeyousmile. 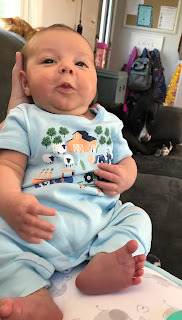 First lets chat about whats new at Gymboree. • Everything! But Gymboree’s fresh take on style is especially exciting—they’ll still have a kid sensibility, but now with a modern sense of style. • The new pieces are now endlessly versatile and mixable, creating big possibilities for kids to create their own looks. • Dialed up the comfort, softness and attention to detail in each piece—Gymboree want to be known for great quality once again! • The best kids’ jeans ever—super comfortable, soft and durable. SO.. What makes me smile? My children of course. My new baby Evan makes me smile every day. I can't believe he's here and healthy. My daughter Molly makes me smile because i am so proud of the little girl she has become. She's SO kind, which is what i tell her daily. Kindness is SO important to teach your children and so important to act on yourself! 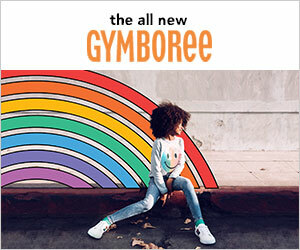 Make sure to go check out Gymboree's new styles! I just used my Gymbucks! Stay tuned for a haul, and make sure you comment below telling me what #Madeyousmile!